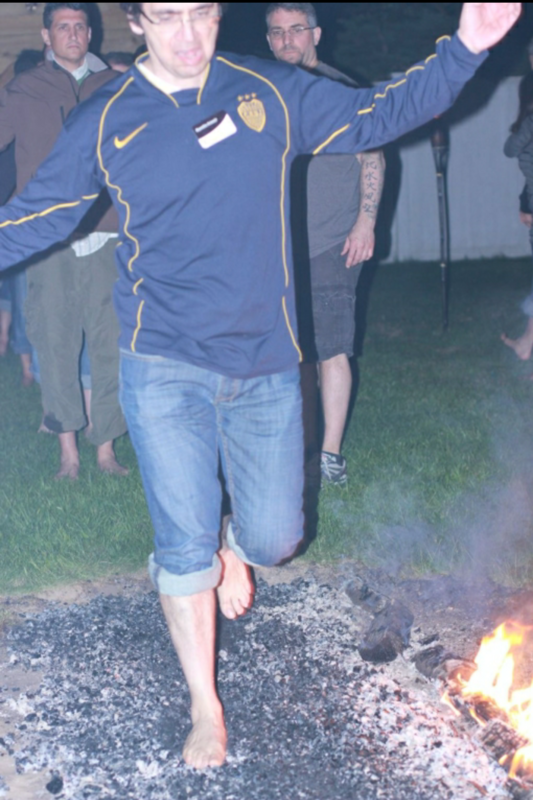 Firewalking has existed for thousands of years and in dozens of different cultures. The experience is a powerful one for the evolving human. For me it served as an incredible opportunity to challenge myself and change limiting beliefs and fears. During the 2 hour drive the doubts were mounting. But when the time came I stepped out… and walked. And when I reached the other side, I looked back at the coals and smiled. What did I do next? I got back in line. I thought to myself: this is for all my self-doubt and for those people who told me I would burn myself and thought I was crazy. I walked over the fire twice that night. I didn’t run. I walked. I wanted it to last forever. And no, I didn’t burn. I guess it was my time to let go, and the only things glowing red were my eyes with jubilation and excitement. So my question is: what’s holding you back?